Wow, what a tremendous year for The CAGE! With a slow start performance wise, we put our heads down to work on new pieces. 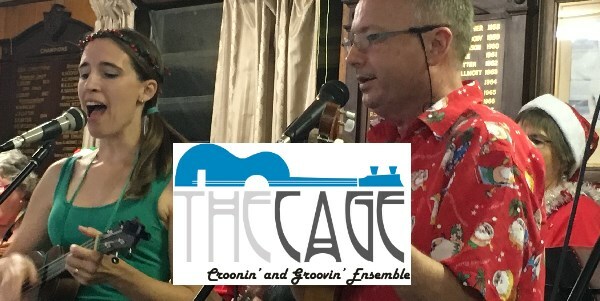 We were fortunate to have a CAGE member by the name of Becky Lochel to put her hand up to co-lead with Ian Phillips. What a wonderful job she has done. 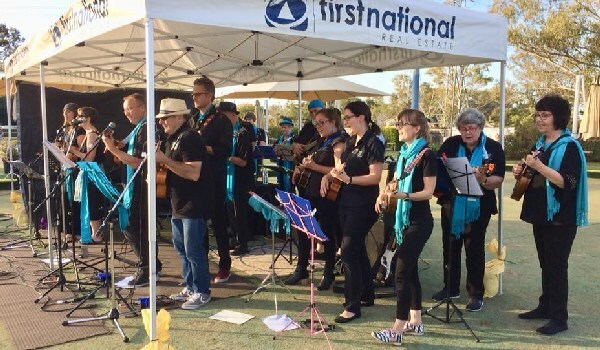 We have ventured to, and participated in, a variety of events this year: QPAC on the Green, Oxley Bowls Club for Neighbourhood Watch, Music on the Porch Day, Performing with the Ignite Choir, PJ Foundation Christmas gig, Brookfield Christmas Bash , the Oxley Christmas Carols as well as leading sets at a couple of Coorparoo jams. We rest for now and return on Australia Day to perform at the local Australia Day gig at the Oxley Bowls Club. We officially start back for band practices on Sunday 3 February at Corinda State School. Players of all abilities are welcome. We hold beginners’ classes from 1:00 pm. 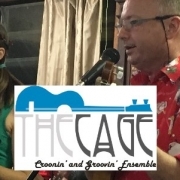 Singing lessons will be introduced for individuals from 1:30 pm with The CAGE rehearsals starting at 2:00 pm. With 2019 being a SPRUKE year, we will preparing hard for this. If you wish to start a new venture on the uke, give us a try. For more details about joining The CAGE, email Ian Phillips at phlipper37@hotmail.com.